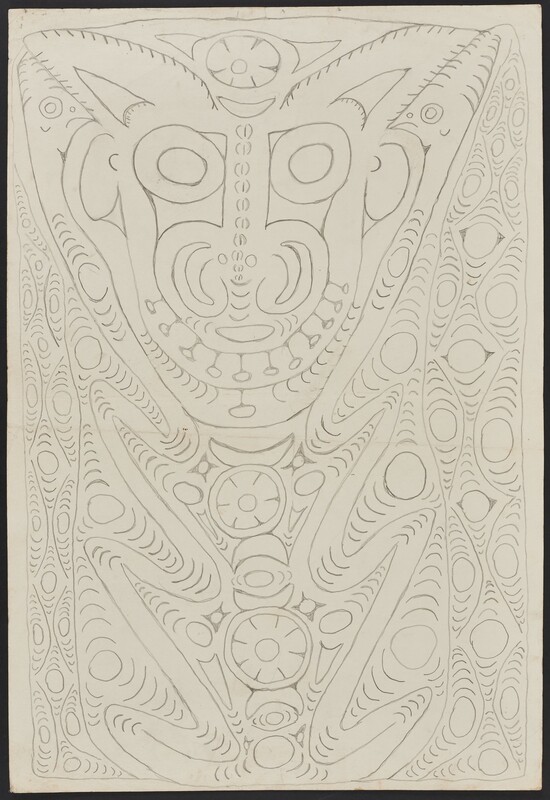 When Australian teacher Helen Dennett arrived at the Sepik government station of Angoram in 1973, she encouraged artists to take pencils and paper back to their villages and to make drawings. Two Kambot artists, Ignas Keram and Zacharias Waybenang, brought back drawings made by Nowep which impressed Dennett. 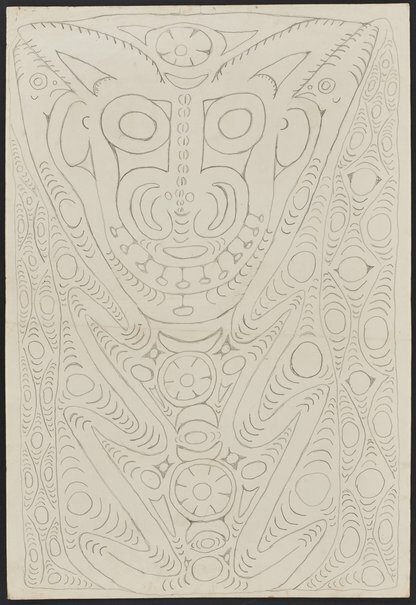 By that time Nowep was in his early 70s, a leading artist and Kambot elder, highly respected in his village. Dennett travelled to Kambot to meet the artist and over the following three years he produced 90 drawings. The book 'Simon Novep of Kambot' was produced by Dennett in 2012 and - as instructed by Nowep - all the drawings were reproduced in reverse, white-on-black, as were all traditional sago petiole paintings.